MILAN – The European Commission (EC) has given the green light to the purchase of Italo-Nuovo Trasporto Viaggiatori (Italo) by Global Infrastructures Partners (GIP). 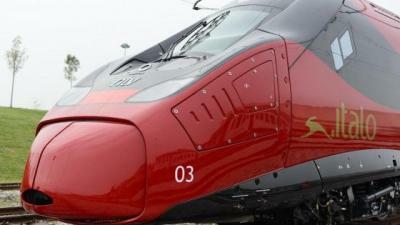 The US equity fund’s 1.94 billion euro bid to acquire the entire share capital of Italo had been arranged in early Feb following the agreement of the Italian company’s shareholders. The EC’s endorsement, under the EU Merger Regulation, adds to GIP’s extensive portfolio in the transport sector, notably encompassing Britain’s Gatwick and Edinburgh airports, the Port of Melbourne and Pacific National, one of Australia’s largest rail freight services. Its management scope, largely concentrated around energy, transport, water and waste sectors, comprises assets in excess of 30 billion euros, whilst contracting over 20,000 employees worldwide. Having established that the deal arranged between the two companies posed no competition concern, as they operate in different markets, Brussels allowed the acquisition to be formalised. Italo was the first private high-speed train operator in the world, linking 14 cities across Italy through 19 stations on a transport system reaching a velocity of 300 km/h. Montezemolo highlighted that Italo’s privately-owned transportation model has become a beacon for networks around the world, whilst plans materialise to create replicas in France and Spain. Stefano Gatti, professor of Infrastructure Finance at Milan’s Bocconi School of Economics, echoed Montezemolo’s positivity surrounding the recent purchase.